When you think of a rustic style room you may think of subdued and dark colors. However, decorating in black and white can work wonderfully in a rustic space. The bold contrast of colors adds some chic to a space that is already filled with warm texture. To add some chic to your rustic space, trying adding accessories in black and white. For a bolder impact, use black and white as the primary colors of the room. We tend to have a lot of gray areas in life and in decorating that goes for many soft colors. So, making a clearly defined and bold statement, by decorating in black and white, goes a long way in achieving a wow factor. Who says that a rustic living room can’t be comfortable and classy at the same time? 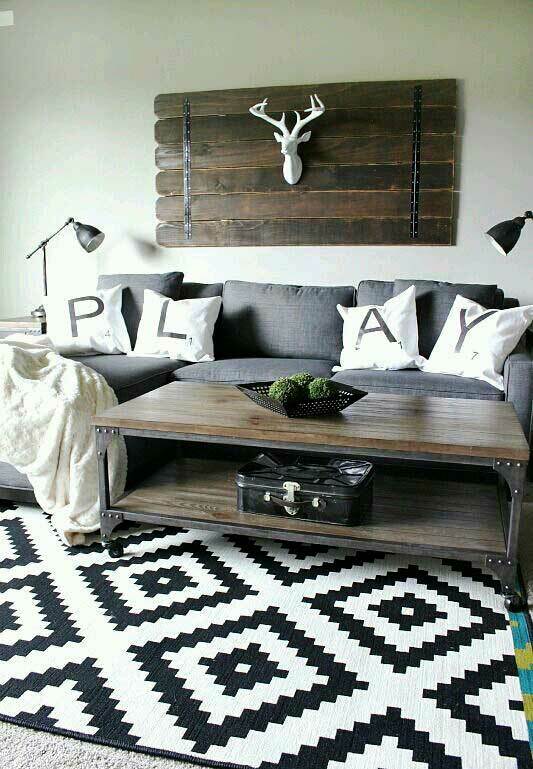 The bold black and white patterns really make the rustic accents pop. 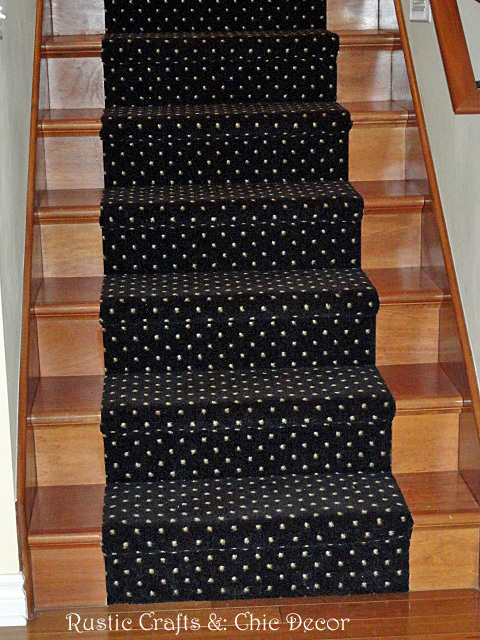 A stairway is a great place to add a little drama with a bold runner. 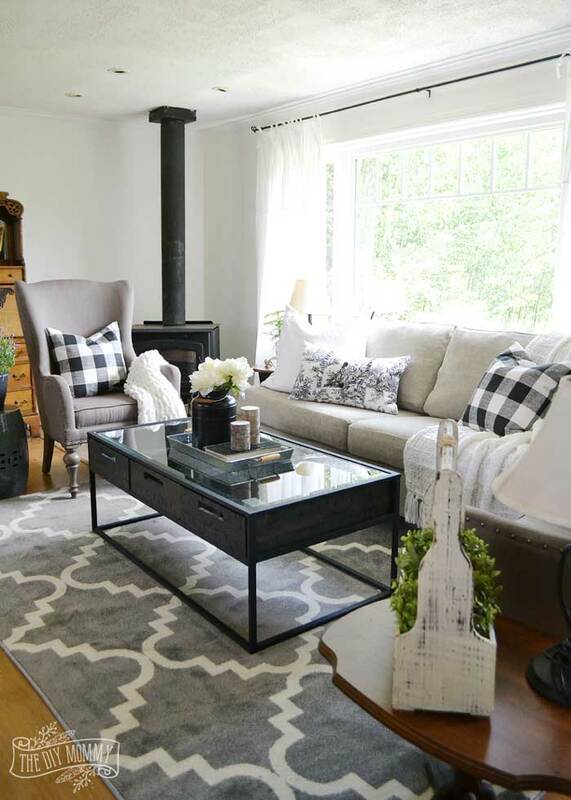 There is a reason that black and white buffalo checks are so popular in farmhouse style decorating. The bold pattern is so striking! The black and white accents provide such a nice contrast to the warm leather. It’s funny, there is so much black and white and yet those light blue chairs are what really jump out at me! It just goes to show how the colors work together to highlight. 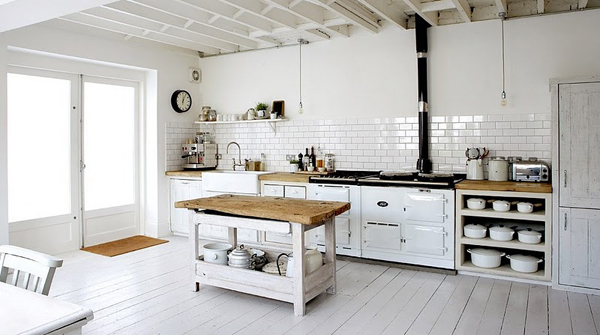 This all white and natural wood kitchen gets a nice punch of drama with the black counter and pipe.